Convenient, hands free, wireless, voice-activated — CES’s annual smart offerings are amazing and offer great energy efficiency options! What Smart Home Gadgets Save the Most on Energy Bills? From laundry folding machines to smart doorbells, the list of high-tech devices for smart homes at the 2019 Consumer Electronics Show (CES) was enlightening. While some of these devices could simply add hands-free convenience to your home, others could greatly lower your energy rates, providing you with huge savings on your Texas energy bills. Here are a few of the smart energy gadgets that stood out on stage at CES this year. The Eve Energy Strip uses smart technology to power up to three everyday household devices, monitoring your energy use while providing protection from surges. Plugging devices into the outlets also allows you to control them with either Siri or other smart apps. That makes switching an appliance on and off as easy as switching electrical companies in Texas. As smart technology goes deeper and deeper into our homes, it’s not that all surprising that there is now a smart wall outlet. Current’s Smart Outlet allows you to regulate the energy use of devices that are plugged into it. Similar to the Eve Energy Strip, you can control whatever you plug in with voice commands on Google Assistant and Alexa. This allows you to effortlessly cut costs on electricity use by viewing the Smart Wall Outlet’s energy report and adjust use accordingly. That’s a real way to use your power to choose! C by GE provides a range of LED lights you can integrate into its smart system so you can choose the right light for the right need. Using a network of smart sensors, plugs, switches, dimmers, and apps you can have total lighting control in your home. Imagine moving from room to room as lights turn on and off. And since the lights are all LED, you’ll end up with some of the cheapest energy rates as well. 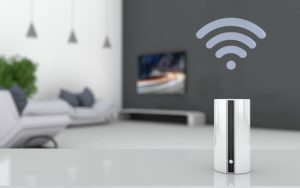 The C system also connects to Google Assistant and Alexa, so there’s no more worrying about whether or not you left the lights on. With the out-of-home control, you easily make sure you’re not wasting electricity. The Honeywell Home T9 and T10 Pro allow you to have total climate control over your home. Instead of overly cooling or heating certain parts of your home, the smart technology records data from various sensors in different rooms. You can then adjust temperature settings to fit your preferences for each part of your home. One added benefit for the smart technology is that you can also adjust the temperature settings even when you’re not at home. This way, you’re not wasting energy heating or cooling an empty home. Try pairing any these smart technology innovations with a renewable energy plan in Dallas and you’ll be lowering your energy bills and carbon footprint at the same time. What’s the Best Way to Find the Cheapest Energy Rates? If you’re looking for the cheapest rates in the ONCOR area, then adding smart gadgets to your home will help keep your bills low. The deregulated energy market gives you the power to shop for and compare electricity providers. But it’s easy to find the cheapest electricity rates in Dallas when you visit www.TexasElectricityRatings.com.